Deadlift is one of the three most important exercises (other two are squat and bench press). Many are afraid to do the deadlift because it can hurt your back badly. Yes, that is right, but only if you perform it with wrong technique or inadequate weights. Deadlift is an easy-to-understand exercise, but even if you have mastered it, you should perform it with caution and full awareness. In this article – technique and basics. 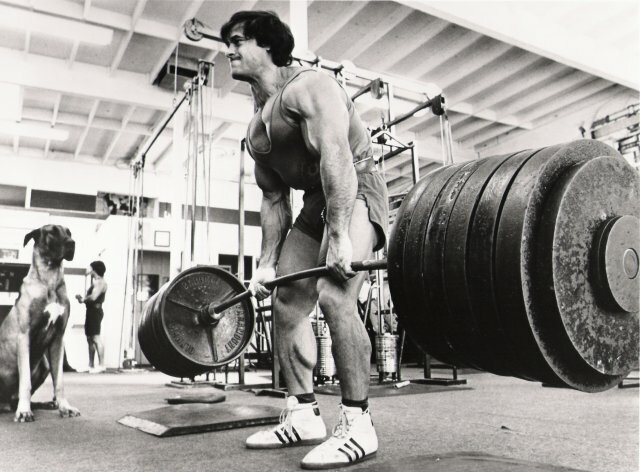 Deadlift is the only exercise in which all muscles are working at the same time! This exercise is a great testostosterone booster and it really helps to gain weight! Deadlift is great, but only when correctly performed. So the main muscles worked – quadriceps and lower back muscles. The beautiness of deadlift is that it not only develops the target muscles but helps to get bigger and stronger in general! This means that deadlift can even help you bench more! So deadlift folks - DEADLIFT. At the beginning, read through the squat article because I want you to think of deadlift as a squat! Place a bar with light weight plates on the ground in front of you. Feet – shoulder width. Place your hand on the bar so that you could stand up with the weight easily – nothing should bother you. Hold your feet flat on ground, slightly band you knees, but keep your back straight in process (the most important thing in deadlift). Use reverse grip to hold the bar easier. Look forward ( or slightly up ) when lifting – this will help to keep your back straight. Do not bounce the weights on ground and lift slowly and concentrated – this is not some kind of sprint distance.. this is powerlifting! Stay sharp and concentrated and you will succeed.